Anthony McDonald has had a varied career as a conductor, composer and arranger, associate professor of music, and arts administrator. 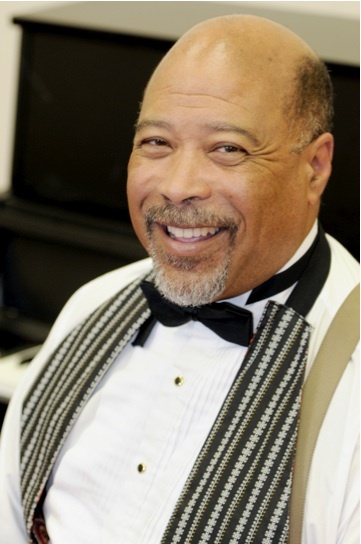 He holds his Masters and Doctor of Musical Arts degrees in orchestral conducting from Stanford University and is a past recipient of an Arts Midwest Minority Arts Administration Fellowship. McDonald has taught at SUNY Oswego, Hillsdale, Centre and Antioch Colleges, guest conducted throughout the Midwest, is founder and director of Dr. Tony's Original Ragtime Band, and has conducted musical theatre productions for over 40 years. He has served as the Performing Arts Director for the Martin Luther King, Jr. Performing and Cultural Arts Complex in Columbus, and is currently the Music Director of the First Unitarian Universalist Church of Columbus. Tony writes for brass band, flute and flute choir, chorus, woodwind quintet, jazz band, ragtime band, and orchestra. Music: Trad. arr. Tony McDonald. Words: Trad. anon.